My own collection of usage guides (see image below). I’ve collected quite a few of them since the start of the Bridging the Unbridgeable project in 2011. The aim of the project is to study usage guides and usage problems in British and American English, as well as attitudes to disputed usages like the split infinitive, the placement of only, the flat adverb, and many more. I scavenged every second-hand book shop, not only in Cambridge where I was spending a sabbatical at the time, but, once back home, also in Leiden, where the project set off, and I browsed the internet and online book sites as well. Colleagues who heard about the project presented me with their copies of Fowler’s Modern English Usage, glad to be rid of them, they said. Someone even brought me a box filled with books from her late father’s library, which contained an abridged version of The King’s English and a copy of An A.B.C. of English Usage by Treble and Vallins. A collection of usage guides. Image courtesy of Ingrid Tieken-Boon van Ostade. Soon I had three copies of Strunk and White’s Elements of Style, four Fowlers, and three copies of Partridge’s Usage and Abusage. But I also came to possess more unique copies of usage guides, such as a first edition of Plain Words by Sir Ernest Gowers, found in the Amnesty Bookshop in Mill Road in Cambridge along with a later edition of his ABC of Plain Words. Particularly prized are my copies (bought online and both also first editions) of Seth T. Hurd’s Grammatical Corrector and the anonymous Five Hundred Mistakes of Daily Occurrence. These were very likely the first and second American usage guides ever to published, in 1847 and 1856, respectively. And I also own a copy of Use and Abuse of English by Rosaline Masson, very possibly the first female – British – usage guide writer. 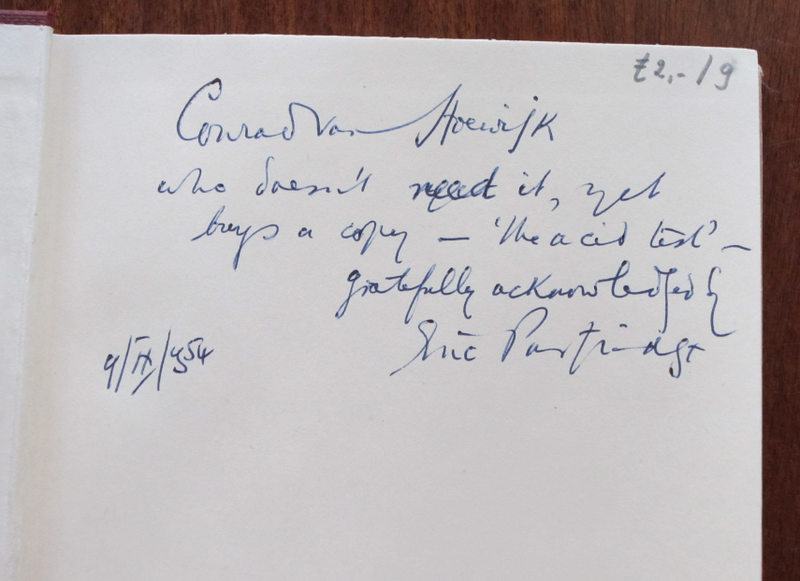 One of my copies of Partridge’s Usage and Abusage proved to be inscribed by the author himself. The book’s owner we were able to identify as Conrad van Hoewijk, the first newsreader in the history of Dutch television – what a special copy to have found. A copy of Partridge’s Usage and Abusage. Image courtesy of Ingrid Tieken-Boon van Ostade. All these books, as the pictures testify, survived the scanner we used to compile the HUGE database of usage guides and usage problems. For this purpose we would have had to cut off their spines and covers – to destroy them, in other words. 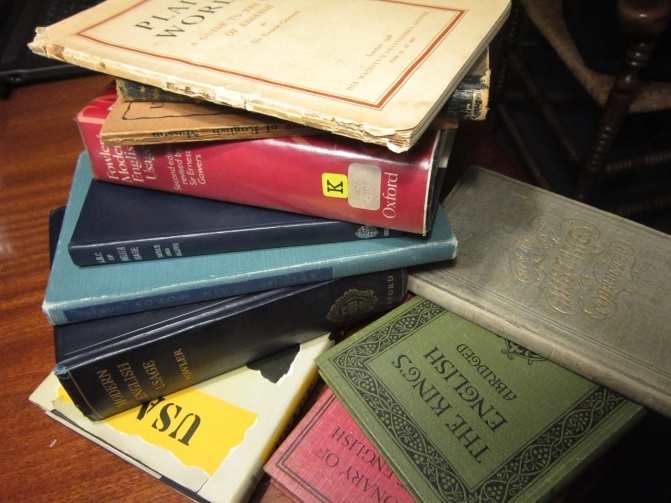 We filled the database in different ways, drawing on less rare copies, later reprints, and pdfs. The database includes 77 British and American usage guides and from these a selection of 123 usage problems, mostly grammatical ones. Most of what is in HUGE (subject to copyright restrictions) is generally available (access granted upon request), and we presented the database to the public in 2014 at the Cambridge English Usage (Guides) Symposium. Speakers at the symposium included John Allen (author of the BBC News Style Guide), Deborah Cameron (author of Verbal Hygiene), linguist David Crystal, “Grammar Girl” Mignon Fogarty, Rebecca Gowers (who had recently published a revised edition of her great-grandfather Sir Ernest Gowers’s Plain Words), lexicographer Robert Ilson, linguist and usage guide writer Pam Peters, linguist Geoffrey Pullum, usage guide writer Caroline Taggart, and all the members of the Bridging the Unbridgeable project. Last month a collection with the papers by most of the speakers at the symposium came out and should any readers of this blog post wish to part with their copies of usage guides now that the HUGE database is available for elaborate advice and the study of usage problems: feel free to pass them on to us. We would be very happy to have them, but please, no more Strunk and Whites, Fowlers, or Partridges, unless of course they are first editions or signed copies. And, finally: we’re often asked if the usage guides had any effect on actual usage, or, in other words, whether they were ever used at all. These are questions I will be dealing with in a separate study, but I can say here – spoiler alert! – that they definitely were, though sometimes in rather unexpected ways, as the fly leaf of my copy of Five Hundred Mistakes illustrates. 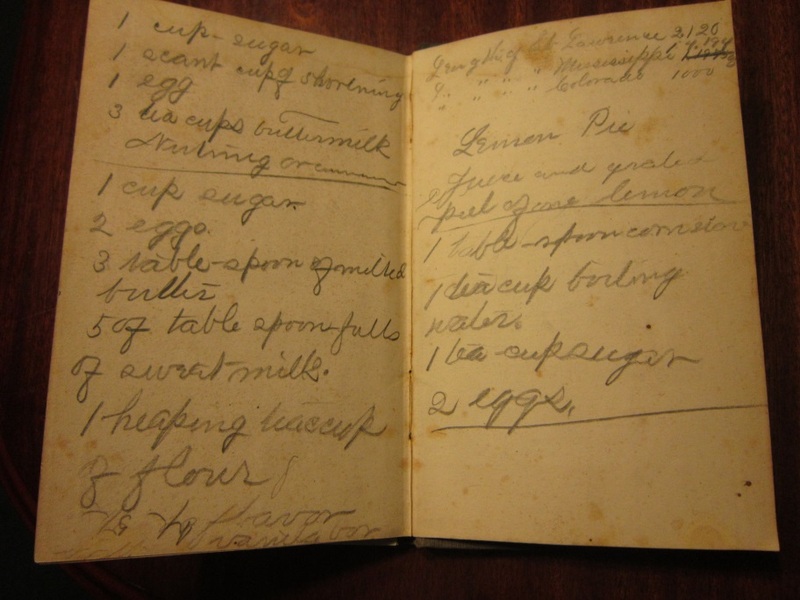 Copy of five hundred mistakes. Image courtesy of Ingrid Tieken-Boon van Ostade. Featured image: “Open pages library book” by Hermann. CCo via Pixabay. Ingrid Tieken-Boon van Ostade is a member of the Royal Dutch Academy of Sciences and has a chair in English Sociohistorical Linguistics at Leiden University Centre for Linguistics. Her research interests include the final stages of English standardization - the codification of grammar and the rise and spread of prescriptivism - and the question of how grammar rules relate to actual usage. Her published work includes An Introduction to Late Modern English (Edinburgh University Press, 2009), and, with OUP, The Bishop's Grammar: Robert Lowth and the Rise of Prescriptivism (2011) and In Search of Jane Austen: The Language of the Letters (2014). 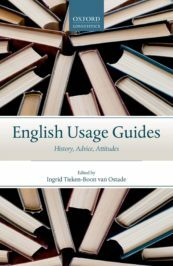 Ingrid is also the editor of English Usage Guides.